I had my Vitamin D level tested and it was 25. My rheumatologist put me on 50,000 iu per week for 8 weeks. I had another blood test after the 8 weeks, and my level jumped up to 60. I am now taking 5,000iu per day. I am also taking Oscal that has 400iu and my multivitamin that also has 400iu. Is this too much Vitamin D to be taking and if so, should I back off and take 1-5,000iu every OTHER DAY? 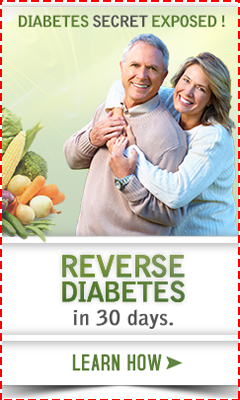 Just to give you a little health background: 53 years old, type 1 diabetic for last 47 years w/no complications, I am in very well control of my diabetes, I take all my prescribed medications for high blood pressure & cholesterol. Please give me your best advice from the above personal outline. If you take a look at my Vitamin D Requirements page, you'll see that 5000 IU's per day is just about right- and adding an extra 800 from other sources to your 5000 IU's per day is actually not really that much more so it should be just fine. But I AM curious why you are taking a multivitamin AND a Calcium Supplement. Most multivitamins already have calcium in them, and once your vitamin d levels are OK, most people don't need much calcium because most of us get enough in our diets. It's just that because we are short on magnesium and vitamin d, we don't absorb it and so doctors have this mistaken impression that people need lots and lots of calcium. And anyway, the calcium carbonate that is in OsCal is junk. You're not absorbing it anyway. So, unless there is a real medical need that your doctor really wants you on a bunch of calcium, then you might want to just do your multivitamin and Vitamin D and consider adding a magnesium supplement. OR, an even better idea is to get Jigsaw Health's Essential Daily Packs . They have 5000 IU's of Vitamin D, 500 mg of magnesium and 500 mg of a much better quality calcium than is in yours. Also, I'm curious as to WHY you have high blood pressure and cholesterol? Hmm. I'll bet no one has asked you that before, have they? Doctors seem to think that its just 'age' or 'genes' or some other vague things, but the likely culprit is INFLAMMATION!! And anyway, the CHOLESTEROL is not the problem at all, but the underlying inflammation that is CAUSING the cholesterol- something that doctor's simply do not address. Take a look at the ebook The Great Cholesterol Lie to see what one doctor IS doing about this problem. Today I started taking 50,000 units of Vitamin D today, what side effects can be caused with the dosage. Well, you can go right to my page on Vitamin D Side Effects and that will tell you everything that you WANT to know and why it is an EXCELLENT idea to also take magnesium with your vitamin d as well. However, what you NEED to know is that your doctor is doing you a disservice by giving you the prescription that you are on. 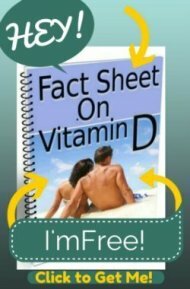 I urge you to read my page on Prescription Vitamin D to see why continuing on your prescription is NOT recommended- and instead, it would be infinitely better for you to switch to Vitamin D3 Supplements- with an emphasis on the "3" in the D3.